Come on down for a fun-packed afternoon for all the family in one of London’s most beautiful parks. 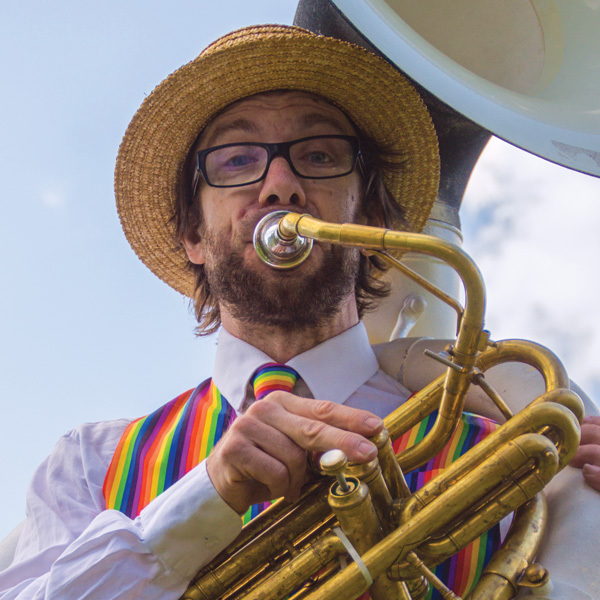 As well as BBC Radio 3 DJ Max Reinhardt, Community Hub and Kids Zone, this year’s live stage will feature Klezmer in collaboration with a global selection of artists from Ghana to India. There will also be The London Winchevsky Chorus, Lorin Sklamberg and the London Klezmer Allstars and a live performance of The Turbans. 1700: The Turbans and The London Bulgarian Choir plus Simo Lagnawi, a Guembri player and Gnawa Master. 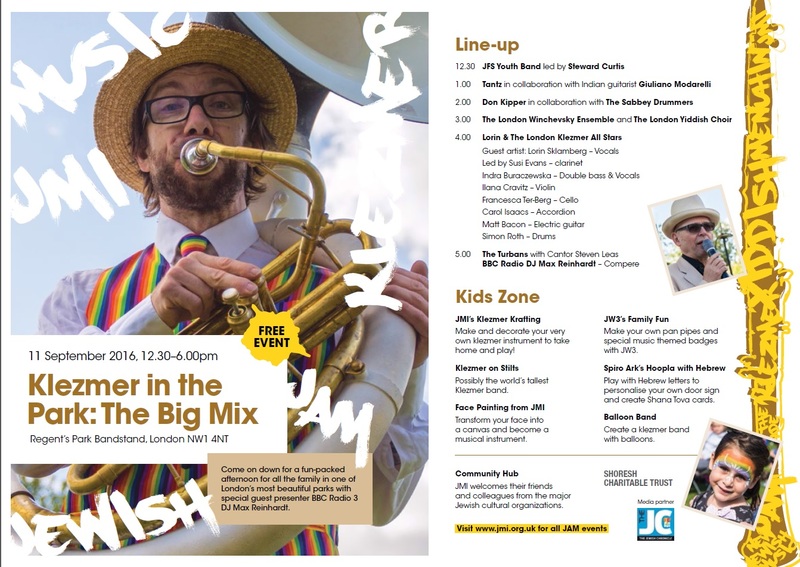 Make and decorate your very own klezmer instrument to take home and play! Transform your face into a canvas and become a musical instrument. Make musical mobiles, funky badges and specially designed paper fortune-tellers. Play with Hebrew letters to personalise your own door sign and create Shana Tova cards. Create a klezmer band with balloons.